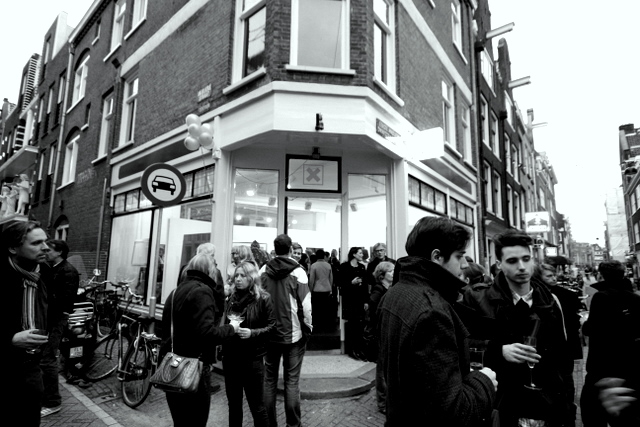 The Eerste Anjeliersdwarsstraat 36 in Amsterdam was packed with people when Hans Bos and Esther Koch reopened their lowbrow art gallery KochxBos in Amsterdam. After moving into a larger and bigger venue they called last saturday with a supershow: Ray Caesar, Sarah Maple, Bethany de Forest, Ciou, Nicoletta Ceccoli, Sauerkids, Meryl Donoghue, Leendert Masselink, Alicia Rius and Pepijn vd Nieuwendijk were the artists they curated and a lot of them arrived personally. The day turned into a European underground-art meet and greet festivity and the huge amount of visitors enjoyed talking to artists like Sarah Maple (London), the Sauerkids (Rotterdam), Femke Hiemstra (Amsterdam) or Ciou (Toulouse) in a calm and cosy athmosphere in the pop-surrealistic heart of Amsterdam. If your next trip is the Netherlands, make sure to stop by. 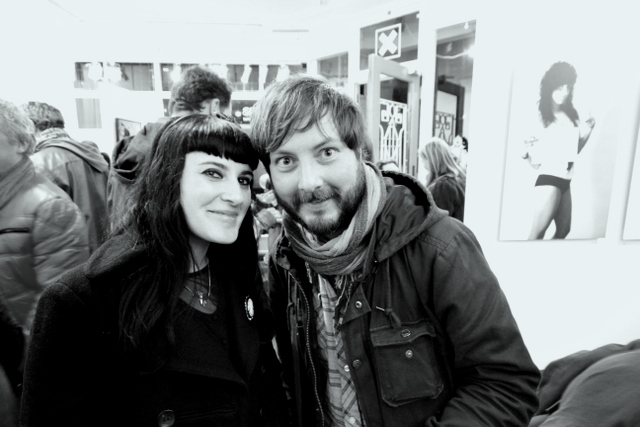 Hans and Esther are looking forward to explain you the amazing art they sell.